Have you ever experienced unexpected financial hardships? Luckily, investing in precious metals, like gold bullion, can help you in times of financial insecurity. With the new year right around the corner, it’s time to begin considering new investment opportunities. Are you looking for a way to diversify your financial portfolio and begin investing smarter? So, you’ve finally made the decision to expand your financial portfolio and invest in something new. Congratulations! There are many benefits to diversifying your investments outside of the stock market and traditional retirement savings plans. When investors look for new ways to expand their financial portfolio, they may come across the most recent silver price and wonder if that’s a good option. For many people, beginning to explore smarter investment decisions as they grow older is absolutely imperative. If you’re ready to rely on more than just the volatile stock market, your traditional retirement fund or your company’s 401k, you’re not alone. More and more people are exploring their options to buy gold and with good reason. Whether you make an investment in gold or buy silver, it allows you to have another tangible outlet for your hard-earned money. It also means you aren’t stuck being dependent on a faulty currency system, or a variety of unstable retirement fund options. Ultimately, gold has been the stable and reliable mark of value globally for thousands of years. Silver mining is not an easy industry.The costs of silver mining include not only operations, but also exploring new territories and building new mines. With silver prices where they are today, many of the world’s silver miners simply aren’t profitable. It’s a long-established trend that when the U.S. dollar is up, gold is down, and vice versa. There are many factors at play in this dynamic, one of which is the Commodity-Dollar relationship, a trend that shows an inverse relationship between commodities and the U.S. dollar. When you’re trying to grow your savings by investing, taxes can make it difficult by taking a bite out of the progress you’ve made. Fortunately, the government of Canada offers tools that you can use to save money on taxes when you’re trying to invest and save, whether it’s for your retirement, a mortgage, or your children’s education. When is it time to take profits on alternative assets? If you are a gold buyer and you bought at low gold prices, you may be wondering whether to hold, buy more, or sell. There’s no easy answer and it depends on your financial needs and investment strategy. Speaking at CNBC early in May, Warren Buffett said some controversial things regarding precious metals. He unfavorably compared gold to stocks, saying that if you had invested in stocks in 1942, you would have earned over a hundred times more than if you had invested in gold. Coin collecting is the kind of hobby that appeals to many different people. It combines an appreciation for art, history, geography, and economics, all of which are embodied in precious metal coins you can hold in your hands. As venture capital firms enter the cryptocurrency market, Bitcoin could become even more volatile. While that creates some great opportunities, there are also major risks. Buy gold in Canada through Silver Gold Bull to shore up profits made from crypto trading. 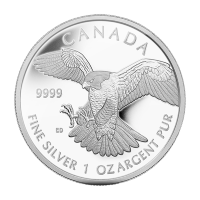 Silver coins from the Royal Canadian Mint are some of the most beautiful and sought-after silver coins in the world. Take a look at the Silver Gold Bull selection of collectible silver coins all in pure silver. 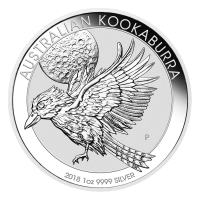 There are some exciting new silver coins for 2018. Silver prices have entered a narrow band with lower volatility. Today’s silver prices come down to higher industrial demand and positive trader sentiments. 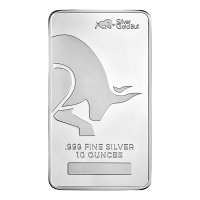 Take advantage of stable silver prices and buy silver at a low price from Silver Gold Bull today. Silver Gold Bull sells investment-grade gold bars and coins to investors. Whether you want RRSP gold or easy buy-and-sell trades, we’re your #1 source for gold bars in Canada. Check out our inventory for gold bars at low premiums. Buy gold bars ahead of the crowd. What Happens To Gold When Bitcoin Becomes Currency? As Bitcoin finds its role in global finance, gold investments show their lasting value. Gold investments are in a different market from cryptocurrency, which will increasingly be transactional. Buy gold investments from Silver Gold Bull for long-term savings. Stock markets are responding poorly to the threat of trade war between the U.S. and China. To weather the storm, invest in gold bullion. 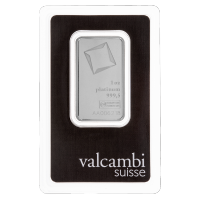 Enjoy the cheapest gold bullion premiums by heading to Silver Gold Bull. Gold bullion is the perfect safe haven for your money. Buy silver at low prices from Silver Gold Bull to increase your commodities positions before the Dow Jones correction gets ahead of you. Silver is a safe asset. 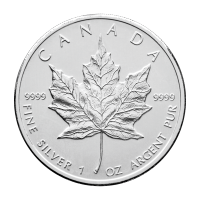 Why Is Silver A Popular Introduction To Buying Bullion? Are Silver And Gold Poised For A Comeback In 2018? How Will Russian Demand Affect Gold Prices? The Perth Mint has started development work on a cryptocurrency backed by physical gold. Their stated goal is to create a transparent offering that can be bought and sold easily, with all metal tracked on a distributed ledger. 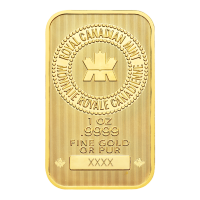 Gold investors are shocked by a recent discovery that a jeweler in Ottawa was sold a counterfeit gold bar by a local bank. Many are now wondering whether their gold could have been part of a counterfeit ring. Although the yellow metal was overshadowed by the returns of crypto currencies, gold saw its best yearly gain since 2010, up by almost 14% in USD terms. At one point in December, Bitcoin rose 25 percent in only 48 hours, stunning investors and leaving many baffled. That took the value of a single Bitcoin past $15,000, far above any peak investors had predicted. You wouldn’t be alone if you were skeptical of market watchers predicting Bitcoin’s collapse. Investment analysts have been predicting a crash for months, at least since Bitcoin hit $2,900. With the F.O.M.C. wrapping up their final meeting of 2017 later today it will be interesting to see if the expected interest rate hike marks yet another turning point for gold. Gold gets most of the attention when people talk about investing in precious metals. It’s no wonder; not that long ago, gold backed currencies and it was the wealth on which civilization was based. In a continuation of the ongoing theme since the GFC, investors and high net worth individuals continue to plow their money into asset classes already at all time highs in an attempt to preserve their purchasing power. Christmas is around the corner and a lot of people are planning on giving gifts of jewelry. A gold necklace or bracelet makes a tasteful gift for a loved one, but did you know that jewelry can also be an investment? Should You Worry About Gold Price Manipulation? 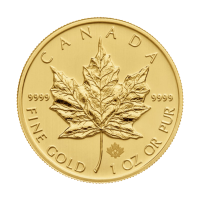 As one of Canada’s leading online gold dealers, at Silver Gold Bull, we hear a lot about gold. One subject that’s always hot in gold trading circles is whether or not the price of gold is being manipulated. Historically, gold and silver have always represented wealth. That historical precedent continues today, and gold and silver remain not only highly valuable precious metals, but also a contrarian investment strategy.